❤Sweet Tips❤: Due to the difference in light and display,there may be some color difference between pictures and real products (the color of our pictures in iPhone6/7/8 is basically same as real products). 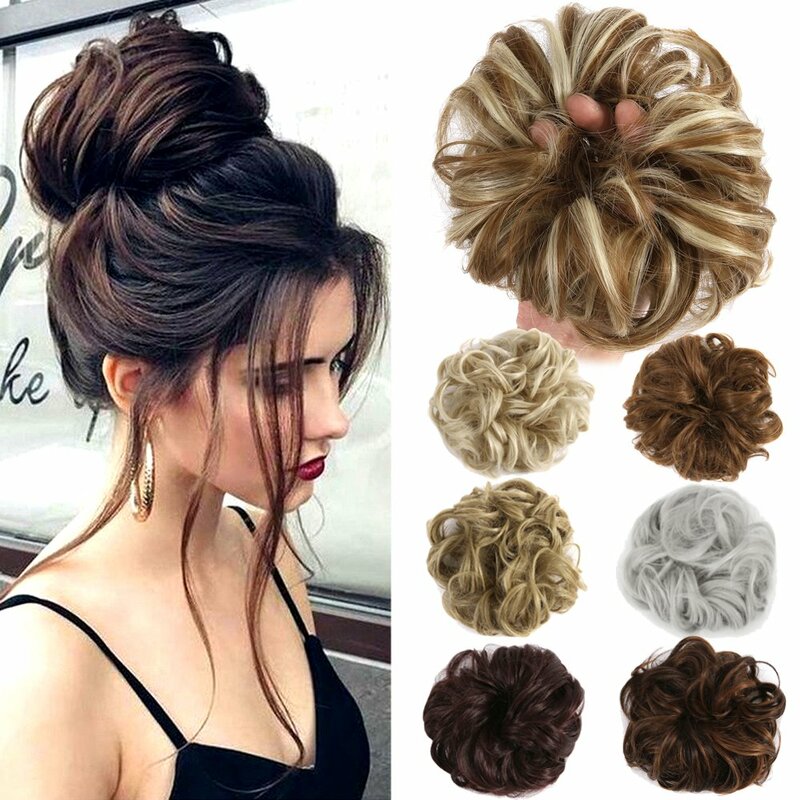 This Lelinta synthetic fiber hair bun extension creates an elegant chignon or ponytail accent that can be worn for a prom, wedding, or evening out. Use the elastic Hair band tie around your hair for a secure fit. Our hair wraps will transform your look in seconds. It’s that easy! Just like your own hair, synthetic hair will accumulate residue through normal wear. The fiber should be washed as infrequently as possible or when you notice that the fiber appears dull. You can wash them after 4-6 wears. Before shampooing, gently remove any tangles or teasing with your fingers or a pick comb. Pick the hair from the ends and work your way up.